It was the first time since 1977 that a full moon occurred on December 25. British Columbians were quick to capture photos before the clouds rolled in. It was the first time since 1977 that a full moon occurred on December 25. Santa had a little extra light to guide his way on Christmas day. A rare full moon illuminated the sky on December 25 around the world. 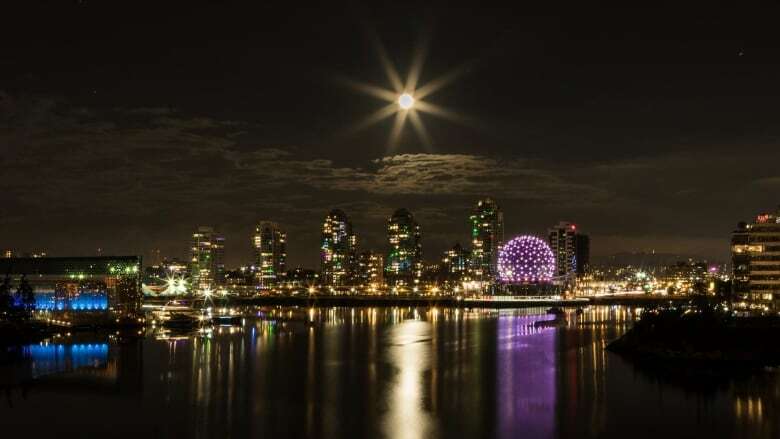 Across the Lower Mainland, some British Columbians were able to capture the brightly lit moon before cloud cover dimmed things down. This was the first Christmas full moon since 1977. The next Christmas full moon isn't expected until 12:54 a.m. PT in 2034, according to the U.S. Navy Astronomical Applications Department's moon phases predictor. Full moons fall on December 25 as often as they do on any other day of the year, but it's relatively rare for full moons to fall on any one day, whether it's Christmas or July 1 or your own birthday. Jon Ross, the co-owner of Heliwood Media, placed a 1.5 metre Christmas tree atop a cooler to get a shot of the moon as a topper. "My neighbour let me drag out her Christmas tree with an extension cord to set it up," said Ross who took the photo while out for dinner in Port Coquitlam, B.C. Vancouver-based photographer Brandon Pomeroy referenced Beyonce's Halo. The team at Vancouver's Nikkei TV captured video. Even city lights couldn't drown out the glow of the moon. One more stunning shot from the other side of the country.